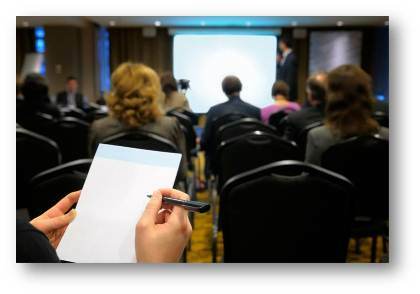 An online presentation – whether it’s a webinar or other form of online training – is just another presentation, and there are plenty of articles, books, videos and coaches that teach presentation skills. Yet most presenters – even experienced ones – do a poor job with their online presentations. I recently wrote a blog post on this topic for Citrix, the company behind GoToWebinar (the webinar technology I use). I also wrote a special report, “The Secret Formula for Webinar Presentations that Work Every Time”, for Citrix. You can download the report here.